It was not a great day for RIM,or its new CEO Thorsten Heins. The quarterly earnings report was worse than expected, and drove another nail in the coffin of the iconic mobile platform company. But, big changes are coming as Heins makes some aggressive moves and tries to stage a comeback. Revenue was down by $1 billion from the previous quarter, and RIM revealed it had sold only 500,000 of its BlackBerry PlayBook during this quarter. Contrast that with Apple’s most recent quarterly earnings report which claimed over 15 million iPads sold. To put that in perspective, RIM sold as many BlackBerry PlayBooks over an entire three-month period as Apple sold iPads by lunch time on the recent launch day of the third-generation model. 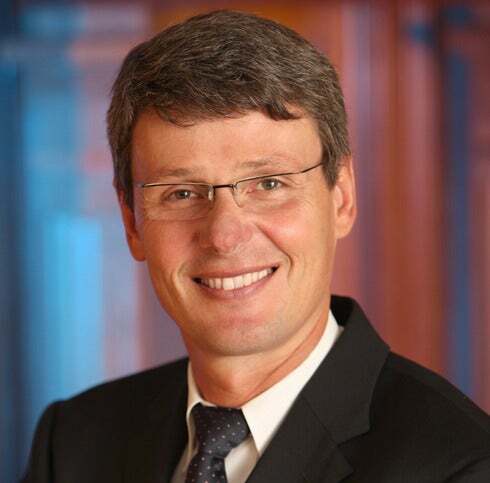 New RIM CEO Thorsten Heins got a harsh dose of reality with the poor quarterly earnings data. The tablet is just one facet of the problems at RIM, though. In 2011 Apple sold more iPhones in Canada--RIM’s home turf--than RIM sold BlackBerry devices. RIM was cocky when it was dominating the smartphone market and failed to see the writing on the wall. By the time it realized that iOS and Android were for real, it was too late. The company has been floundering for years trying to find a strategy to compete against these newer mobile platforms. So far, the efforts have resulted in blunders and missteps, accompanied by plummeting market share and waning relevance. Today could be the real turning point. When Heins took the reins a few months ago, he seemed delusional. He stated that the company strategy was sound and that he essentially planned to stubbornly stay the course. Now, reality has set in and he seems to understand that changes--big changes--are required. Fast. One of the first things RIM plans to do is to refocus on its core market: enterprise. RIM established itself as a provider of secure mobile messaging and communications devices with the tools and infrastructure enterprise customers need to effectively manage them. Although iOS and Google have eaten away at RIM’s smartphone market share, many of those business customers are still invested in the RIM ecosystem. The question is whether this strategy can help RIM get back some mojo, or if its simply too late. Al Hilwa, an IDC analyst, believes that RIM still has what it takes to rebound. He pointed out that companies that dominate a market often find it hard to recognize new innovations that are changing the world under their feet, and are slow to respond to rapidly changing market conditions. That certainly seems to describe RIM. “RIM faces some decisions that involve dramatic changes to its business model." Hilwa said. "It will be a test for the new CEO.” Those decisions involve big questions like whether RIM should continue developing BlackBerry, or develop Android devices, or whether it should abandon the tablet market, or even whether it should consider seeking a buyer. Some feel the strategy of pulling back from the consumer market to focus on enterprise customers is a recipe for failure. Rob Enderle, principal analyst with the Enderle Group, points out that the world of mobile devices is in the midst of a consumerization revolution. Right now, the consumer market and the enterprise market are one and the same. Enderle proclaims, “This move is only going to work defensively which will slow their fall but not allow them to reverse it. Right now if the employee doesn’t want the device it isn’t moving.” He feels the RIM plan is doomed to fail, and views the move as a going out of business strategy more than a winning plan to rebound. Only time will tell. It's a cliché, but true. I’ve often been hard on RIM and pessimistic about its future, but I have to admit it would be sad to see it fade to oblivion. I’d love to see RIM bounce back, and I hope that the revelations from this quarterly earnings (or lack thereof) report can be a catalyst to make that happen.